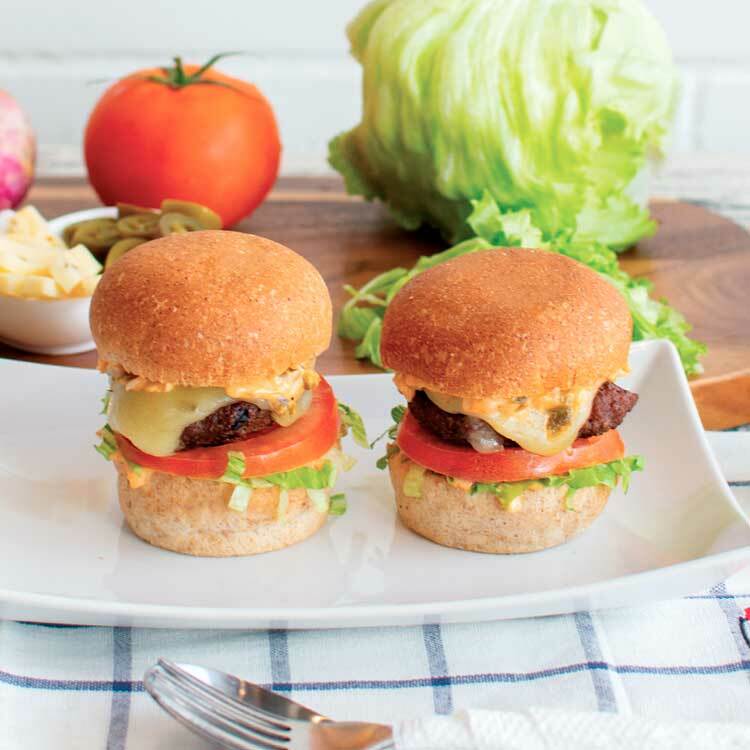 Our lean burger patty topped with melted cheese, jalapeños, tomato and lettuce. 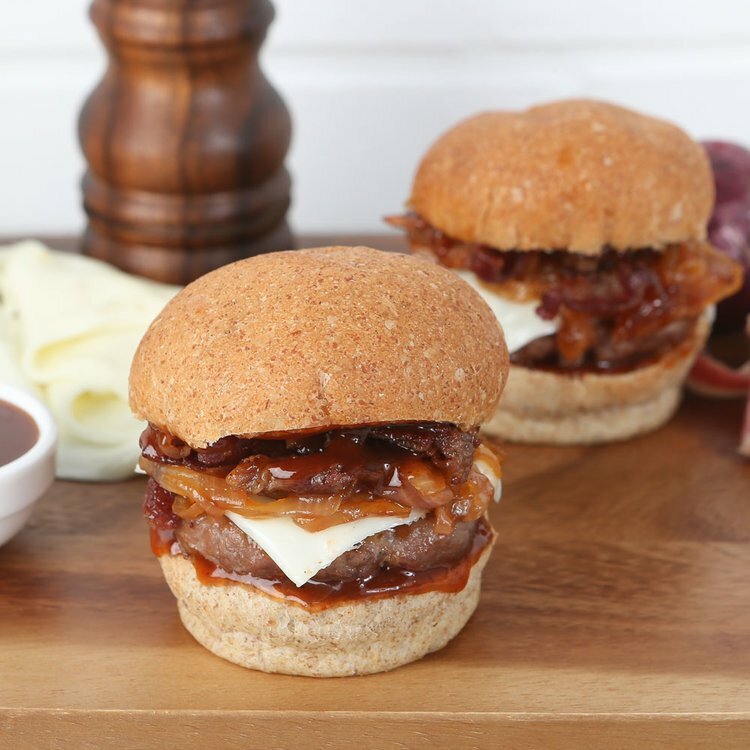 Our juicy burger topped with shredded lean steak, sweet red onions, low fat cheese and BBQ sauce served on a whole-wheat bun. 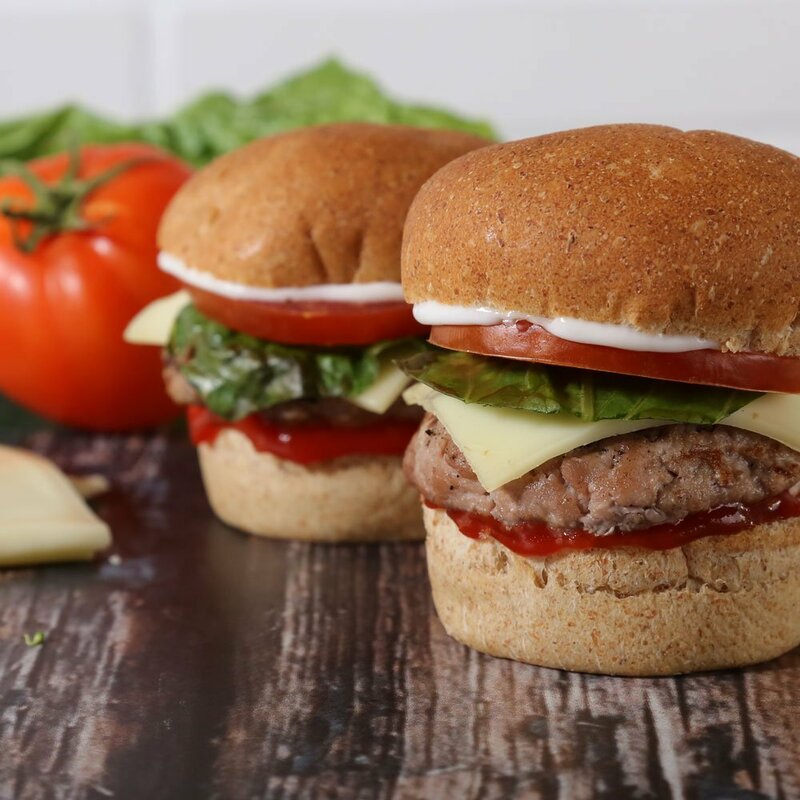 Our juicy burger topped with lettuce, tomato, ketchup, mayo and low-fat cheese served on a whole-wheat bun. 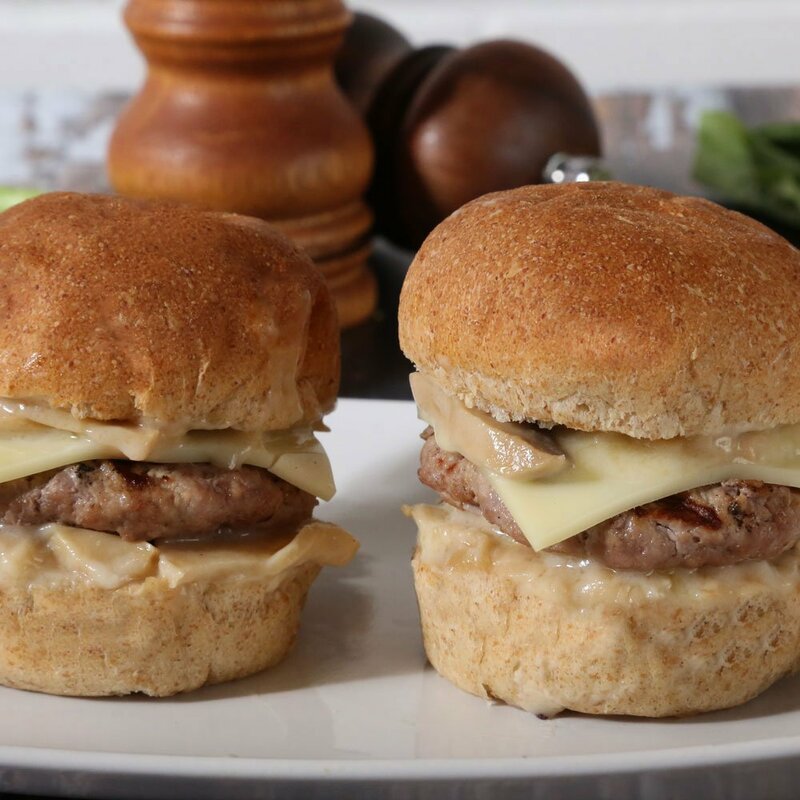 Our juicy burger topped with our very own rich mushroom sauce and low-fat cheese served on a whole-wheat bun. 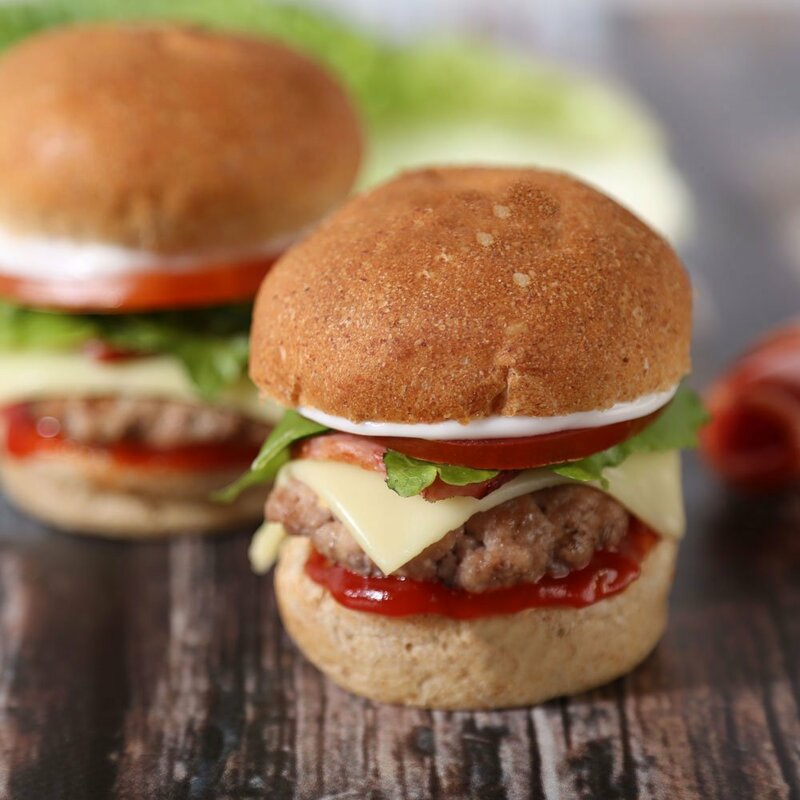 Our juicy burger topped with lettuce, tomato, bacon, ketchup and mayo served on a whole-wheat bun.